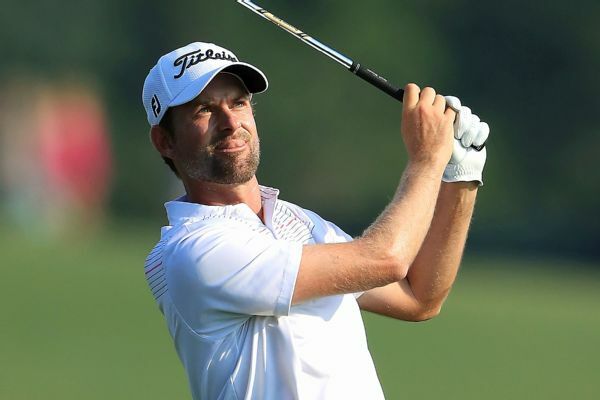 On a day when he felt "everything was going in," Webb Simpson was on the verge of shattering the course record at The Players Championship on Friday until he hit into the water on 17. He settled for a record-tying 9-under 63 and a five-shot lead. 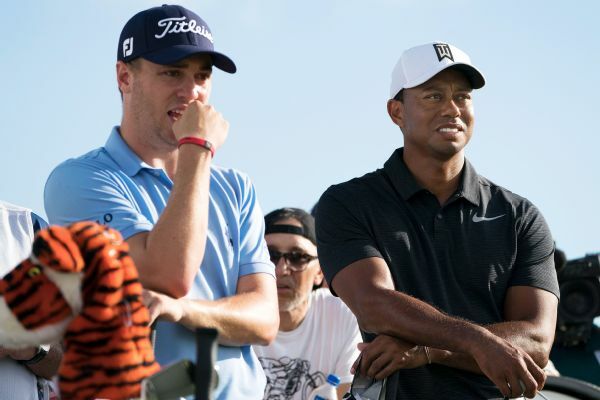 The U.S. Open pairings feature stacked groups such as Tiger Woods, Dustin Johnson and Justin Thomas in one, and Phil Mickelson, Jordan Spieth and Rory McIlroy in another. 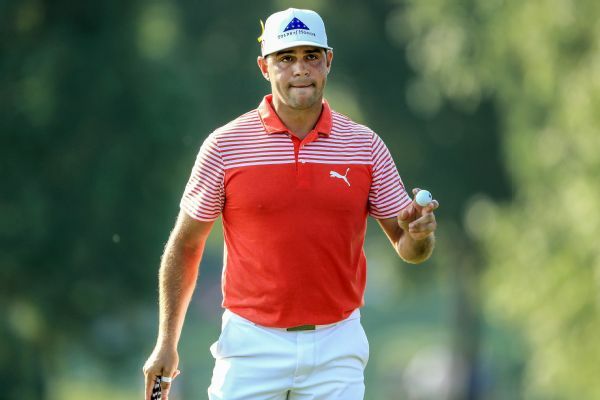 The PGA Championship field went low Friday, with Gary Woodland setting a 36-hole mark and two others shooting 63. Play was ultimately suspended due to storms and will resume Saturday at 8 a.m. ET. International captain Nick Price called the victorious American team a juggernaut "that played some phenomenal golf" on the way to a seventh straight victory in the Presidents Cup. The Americans came within one match of winning the Presidents Cup on Saturday and own a 14 1/2-3 1/2 lead, needing only one point Sunday to retain the Cup. 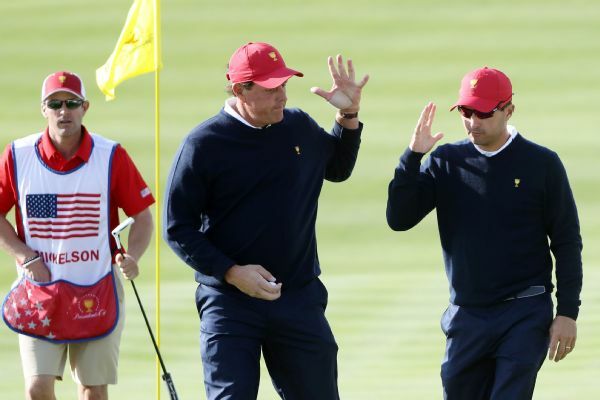 The Americans on Saturday morning didn't lose a match for the second straight session and can clinch the Presidents Cup in the afternoon four-ball matches.